A native of Chicago, Nancy Pelegrino is a former high school English and History teacher. In the 1980s, she moved to California and started her real estate career, applying the same straight talking, clear thinking to her business that she had learned as a teacher. 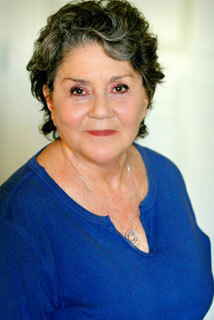 A licensed broker, Nancy Pelegrino is today one of the stars of the highly competitive Westside real estate market. She knows what’s going on in the real estate market and how to help her clients get what they want. Nancy Pelegrino is gutsy, smart, decisive, and straightforward. So is her business. She doesn’t have time to waste, and she doesn’t waste her clients’ time. She has built her business to meet her clients’ needs.That means days, nights, weekends. That means all types of properties, anywhere in Southern California. If you want honest, hardworking successful real estate representation without all the fuss and fluff, call Nancy Pelegrino today. A "people person" through and through, Darla Haun-Pacheco facilitates each transaction with her signature warmth and terrific sense of humor. But it is her proven knowledge of real estate and her deep appreciation and hands-on familiarity with coastal communities that has earned her a winning reputation among her clients and peers. A long-time resident of Playa del Rey, she holds a special affection for this under-discovered neighborhood. "Playa del Rey is the treasure of the Westside," Darla says. "It has all the appeal of other beach communities and yet in some way it's not really on the map when people think about coastal lifestyles." Darla grew up in beachside San Pedro and has been a Westside resident most of her life. While she specializes in Playa del Rey, she represents sellers and buyers throughout the Westside, including Santa Monica, Venice, Marina del Rey and Westchester. Her clients benefit from her countless connections in the entertainment and business worlds. Multi-talented, Darla was a regular on "The Tonight Show with Jay Leno," performing in a variety of sketches. 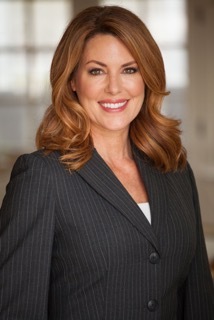 Additionally, she has been an infomercial host, commercial and voiceover artist, and a sales professional in the direct response advertising industry. She graduated from the University of Santa Monica with a master's degree in spiritual psychology, and is active in community causes, including the Guardians of Playa del Rey, Cuisine, Roulettes and the Audubon Society. To learn more about living in Playa del Rey, contact Darla today.